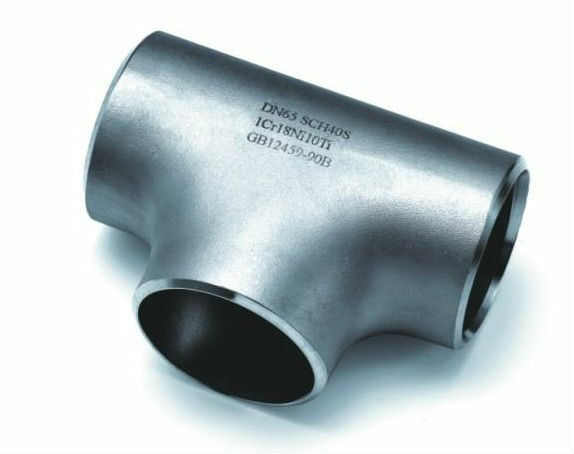 our company is a registered capital of 50.98 million yuan, covers an area of 135,000 square meters, is located in the "in Elbow Pipe Fittings capital" of the Mengcun Hui Autonomous County,specializing in the production of steel flanges,pipe fittings(wear-resistant,plastic-lined,anti-corrosion)series The backbone of enterprise products,is the production of flanges,pipe components,manufacturers of products,one of the earlier,the company has seized the quality of Measurement Center GB/T19001-2008 standards adopted by the State General Administration of Quality Supervision,Inspection and Quarantine of the pressure pipe Organization Accessories acceptance,issued a special permit equipment manufacturers. HEBEI JIMENG HIGHSTRENGTH FLANG_TUBER GROUP CO.,LTD.a registered capital of 50.98 million yuan, covers an area of 135,000 square meters, is located in the "in Elbow Pipe Fittings capital" of the Mengcun Hui Autonomous County,specializing in the production of steel flanges,pipe fittings(wear-resistant,plastic-lined,anti-corrosion)series The backbone of enterprise products,is the production of flanges,pipe components,manufacturers of products,one of the earlier,the company has seized the quality of Measurement Center GB/T19001-2008 standards adopted by the State General Administration of Quality Supervision,Inspection and Quarantine of the pressure pipe Organization Accessories acceptance,issued a special permit equipment manufacturers. Sinopec is the country,in the oil,the Ministry of Electric Power,the classification societies,flange pipe Pieces of fixed-point production enterprise. Group consists of three branches. JIMENG GROUP has completely productive system with automatic management,perfect sale service system and simple and fast business operating. We established scientific quality guarantee system and selling net covers all over the country. Our sales network spreads over the worldwide,so lots of products of our were used in the national key engineering,such as,Three Gorges Power Station,Yanshan Petrochemical and Yangzi Ethylene etc. They are also widely used in the fields of electric power,petrochemical industry,mpharmaceutical,boiler and shipbuilding. They were sold to Korea,Saudi Arabia,Iran,South East Asia and countries in Europe and America. They quality,function and price of products were satisfied and approved by customers in domestic and abroad. Company with "the international market-oriented,science and technology as a leader,the pursuit of high-quality,in good faith for the user" as the business purpose,only Followed the end of "a thoroughly tempered quality improvement and development" business strategy. Growing economy in the world the ear of science and technology,human Only,capital,technology,markets,management constitute the lifeline of business. People-oriented,capital as a link,technology, Market as the guide,create a favo-rable external environment,to maximize employee talent and enthusiasm to the Group to maintain PengBo vitality up.We will be a strong confidence and morale in an invincible position. At this point, to give us help, cooperation, And support from all walks of life both at home and abroad thanks to loyal friends and colleagues of equality and mutual benefit with you wholeheartedly. 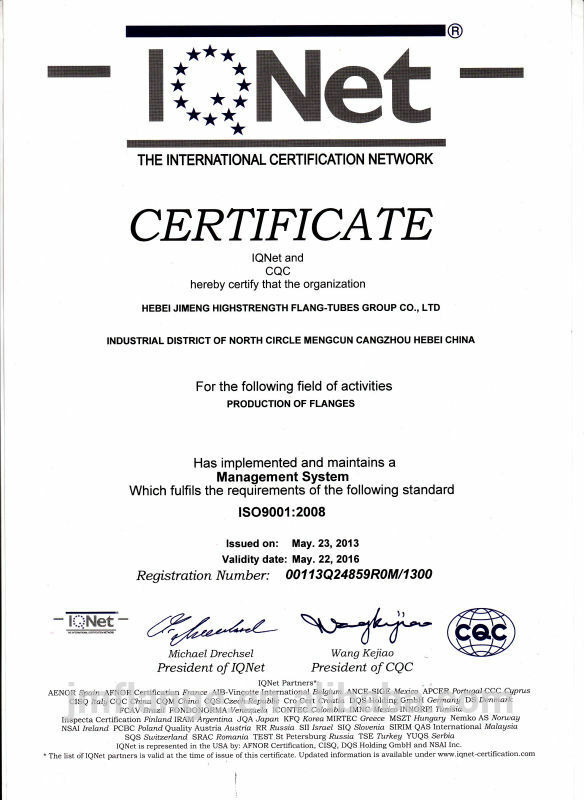 Company Name: Hebei Jimeng Highstrength Flange-tubes Group Co.,Ltd.